Happy Friday, everyone. The day many Raiders fans called Reggie Friday for a few years because it seems to be the day Raider former GM Reggie McKenzie would do a lot of business. As if to tie up loose ends heading into the weekend. The Raiders have already made one move today, signing former Cardinals wide receiver JJ Nelson. If he chooses the number 82, everyone can save money by recycling those Jordy Nelson jerseys. Half the Raiders’ six outside acquisitions since free agency opened on Wednesday have been wide receivers along with trading to Antonio Brown and signing Tyrell Williams. The other two signings were offensive tackle Trent Brown, defensive back Lamarcus Joyner and defensive lineman Josh Mauro. Today’s moves of Nelson and Mauro are depth signings. Signaling we’ve moved into the third wave of free agency when teams are looking to fill out their roster with competition and insurance. And if that means the Raiders are done signing starters, that’s a problem. What they have needed more than anything is pass rushers. The only report out there of their interest was in Markus Golden who just signed a one-year $4.75 million deal with the Giants. Shaq Barrett signed a similar deal with the Buccaneers. Hard to believe the Raiders wouldn’t be willing to do better than $5 million for the most desperately needed position on the team. Especially when they’re shelling out huge money on offense. Still, according to my calculation, the Raiders have some $20 million available under the cap. Whether they plan on spending all or most or any of it on the remaining starting caliber talent remains a question. Or will this be another free agency like last year where they load go quantity over quality? Either way, here are the top free agents still out there. Including a couple pass rushers. Should the Oakland Raiders consider trading for Seahawk’s DE Frank Clark? Silver & Black Pride community 7-round Raiders 2019 draft prediction contest The Raiders currently have 8 picks to work with in the draft this year. Can you predict them? Here’s your chance to prove your prediction prowess. 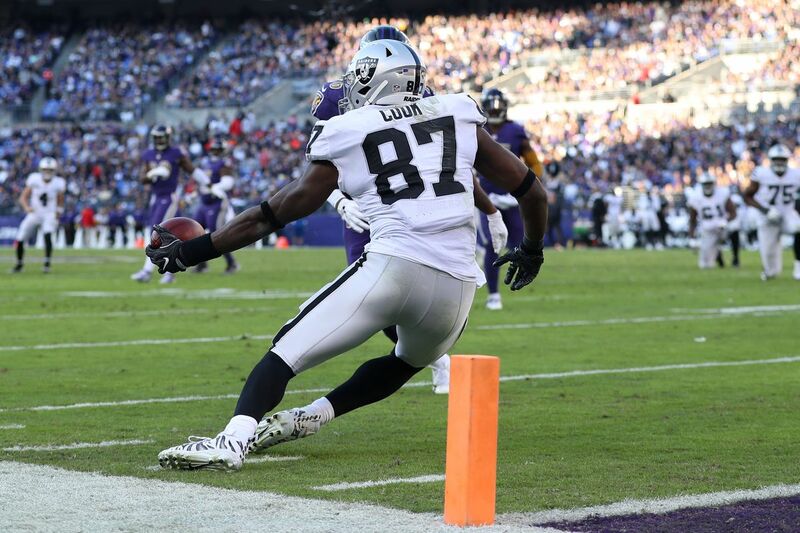 How brutal is the Raiders’ 2019 schedule? Let us count the ways We’re not done ranting about the brutality of this schedule.